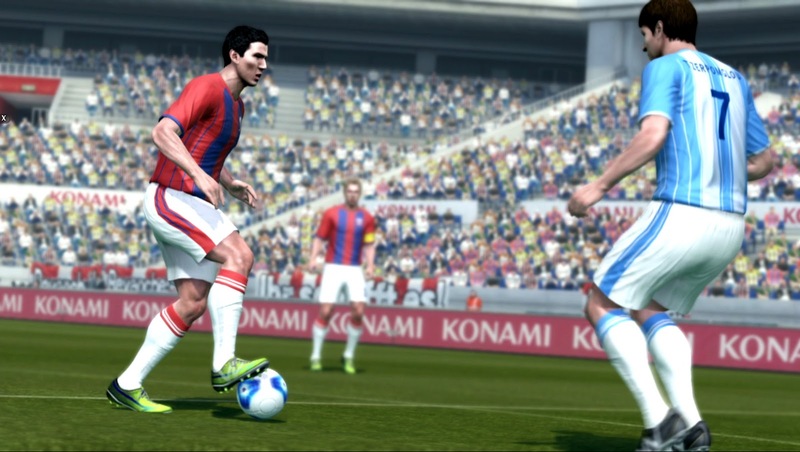 Konami have just released a brand new video showcasing the new features of PES 2013. The 5-minute trailer includes an in-depth interview with new Lead Developer of PES, Masuda Kei. The trailer shows some gameplay scenes; including new goalkeeping animations, improved shooting options and examples of the new defending system. Talking about Player ID, even the smallest details have been made accurate so the characteristics of the real-life player are matched in-game. With the introduction of Deft Touch Dribbling, users now have much closer control when in much tighter spaces. There are now two options for lofted passes; the first is a low and fast pass and the other is a high and slow pass. Dynamic First Touch will allow players to flick the ball over their opposition's heads. Users can either continue dribbling forward, or if the ball is still in mid-air, players can take a shot with a volley. With so many new ways to overcome your opposition, the PES team have introduced the Response Defending system. The defending now is easier to control and is tackling is much more accurate. Players have total control over the timing of their tackles. AI improvements allow a more balanced defensive line around the 18-yard box. Defenders have a much more intelligent response and their line depends on the position of the ball. Better goalkeepers; new animations, and improved reactions and decision-making. myPES have been worked on. And looking at the trailer, it looks like Konami are planning to release a myPES smartphone app. Konami confirm they are planning to release a PES 2013 demo. Tell us what you think of this morning's news by leaving your impressions on our forums - or in the comments section below.